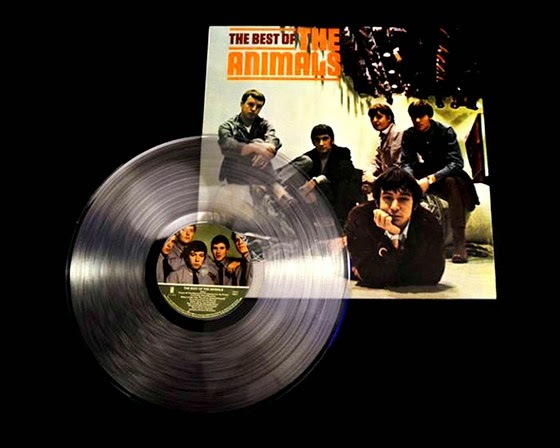 RETRO KIMMER'S BLOG: BEST OF THE ANIMALS ON CLEAR VINYL! The original Animals' American hits, including "House of the Rising Sun," "Don't Let Me Be Misunderstood," "It's My Life," and "We Gotta Get Out of This Place," in a compilation originally released in 1966. The lineup of songs is strong, but the sound is indifferent -- the British Complete Animals covers the same territory and a lot more to much greater effect, at only twice the cost with three times the music and infinitely superior sound and notes.